this basket was over flowing! This has been LOOOOONG overdue. I should have taken a before picture. What was I thinking? The only way to describe it was like living in my own sort of little hell. You probably know how I feel, all those bright NOISY toys that jump out in front of you and make it impossible to walk a straight line to your kitchen? Well this is the end, I say! 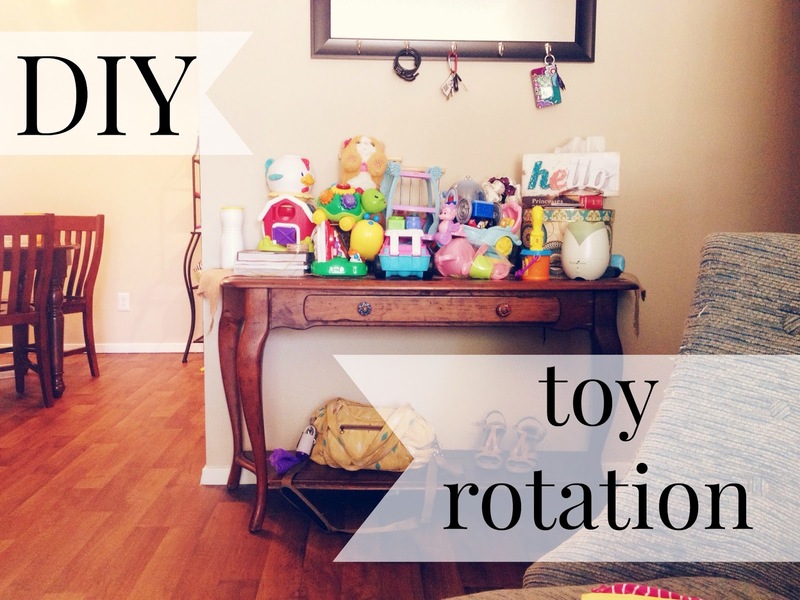 Toy rotation always sounded so scary to me. I don't know why, but I could never do it. 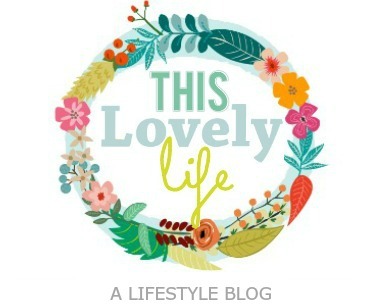 I looked up a few DIYs on how to do it and they all sounded so complicated! So with some serious effort (and a little smarts) I was able to cut the toys in half. The bonus? My kids are too young to fight with me about why they should keep it. I took all of the toys that my girls were never interested in or had no value in terms of learning. You know, just those noise makers! Sell, sell, sell! This will give you some money to buy toys that will get used (or a bottle or two of wine for yourself). There are some things like rattles (and this amazing piano barn) that the girls didn't play with anymore because of their age. But these things I wanted to keep for my next kids someday! I removed those second. Opposite of step 2 was a little harder because you have to think ahead. I had some tea sets that were beautiful but were just being thrown. They need to be a little older to understand, until then they just made a mess for me to pick up. Also I removed a toy that they drag behind them (as they STILL don't walk) Some other things were princess carriages and cars they don't understand how to use yet. These things go in a bin for later when we can have some real fun! These may be great toys that are still perfect for them at this age! But I swear when they see them again in a month it will be like a brand new toy! Who wouldn't want to save money? Put them in a bin to bring out 2-4 weeks later. Make sure when you bring out the "new" toys, you put the "old" ones in the bin. Repeat! I hope this helps you be able to confront the scary mob in your living room as well. Some great ideas. I haven't gotten this desperate yet, as the toys are kind of split up into different areas of the house, so I can keep on top of them still. It may become an issue soon though! I really just wanted to let you know that my (almost 14-month-old) daughter isn't walking yet either. And she's not even interested. Like at all. She rarely pulls herself up and doesn't even want me to help her stand. Her doctor is not concerned and I'm sure she will decide to do it in her own time - she was a slow crawler too. But... it's kind of embarrassing to have kids way younger than her walking all over the place!! Probably easier that they can't walk yet, right? I used to do the same thing but then stopped when mine were older as I had three and of course were spread somewhat apart. By then thought, they had their own rooms to put them in. I especially put new things away at Christmas for the younger children especially to be brought out later. They got too many toys from everyone.